This collection of one hundred Japanese proverbs, with translations, Western equivalents, and Jun Hashimoto’s charming illustrations, provides a broad look at traditional Japanese culture, its folk wisdom and its customs. 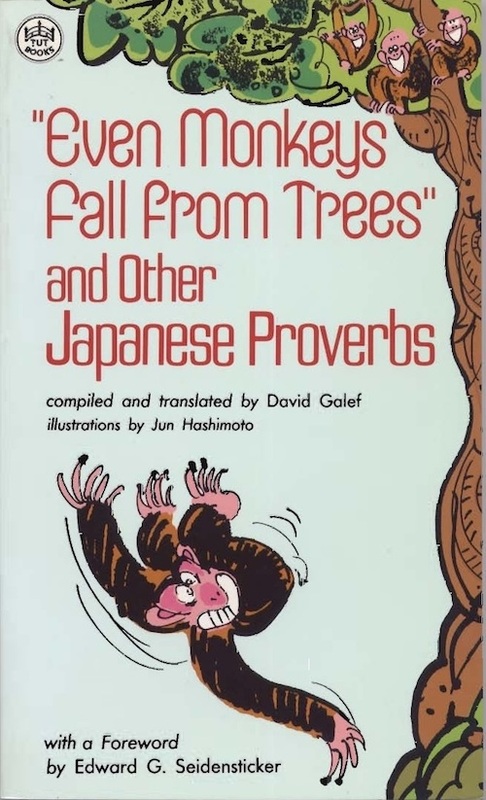 The proverbs range from Mago no mo isshō, “Even a packhorse driver looks fine in proper dress” (Clothes make the man) to Nana-korobi, ya-oki, “Fall down seven times, get up eight” (If at first you don’t succeed, try, try again). The foreword is by the noted Japanologist Edward G. Seidensticker. [Mr. Galef] has done his work well, as has his illustrator, Mr. Hashimoto. It is a likeable book, and it tells us much about Japan.